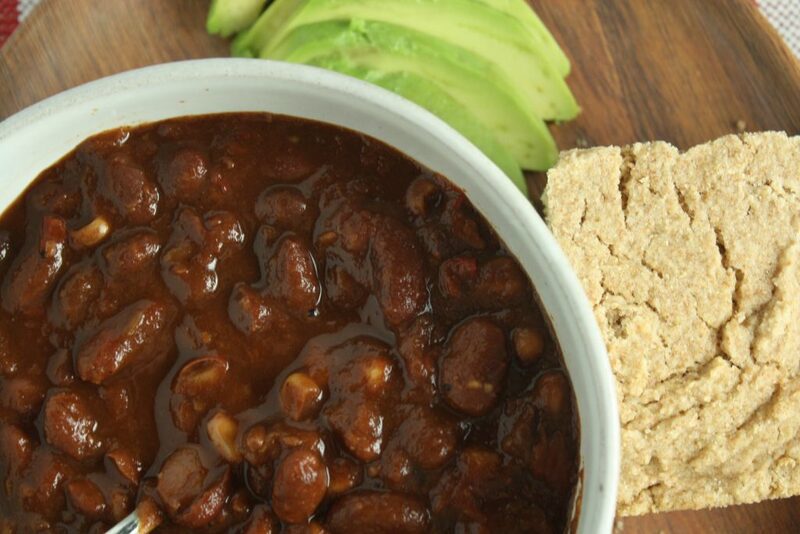 This vegan chili, with its perfect blend of spices, is so thick and hearty that even the biggest meat lovers in your family will go back for seconds! There are four kinds of beans to keep things interesting. 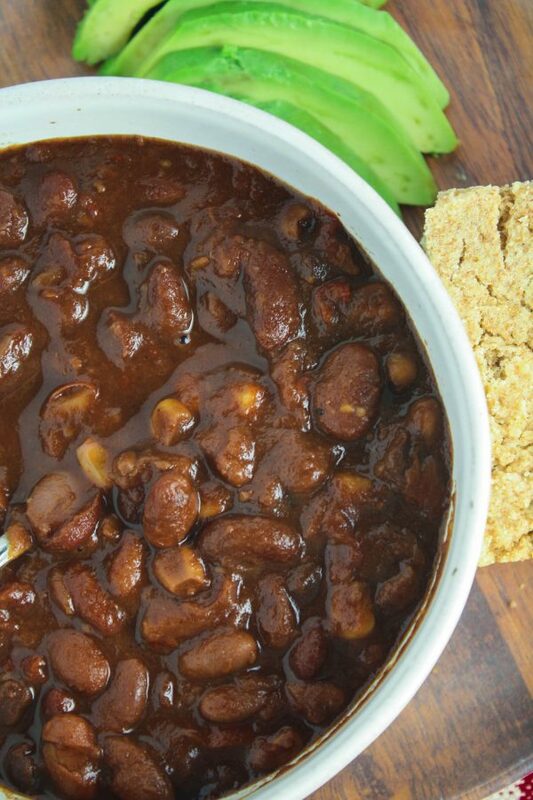 Best of all, with the use of an Instant Pot, making this chili couldn’t be any easier! See my “recipe notes” section below if you are cooking this on your stove top. This will quickly become your favorite chili recipe - not only is it delicious but it is super easy to make! Measure out dry beans. Carefully look through them to ensure there are no rocks or debris. Once you have thrown away any unwanted bits, thoroughly wash them and set aside. If your Instant Pot has a "saute" setting, you can prepare the entire recipe in it. If not, this first part should be completed using a sauce pan on the stove top. Whether doing this step in the Instant Pot or on a stove top, you should heat to medium high, add 1/4 to 1/2 cup of the vegetable broth and add your onions, garlic, bell pepper, chili powder and cumin. Saute for five minutes or until the onions are soft and translucent. If you performed the previous step on a stove top, transfer the ingredients to your Instant Pot. Add beans, corn, diced tomatoes and tomato sauce, jalapeno and salt and pepper. Add broth to the "1/2 fill line" and stir well. Allow pressure to release when cooking has completed. Carefully remove lid. Stir and serve with cornbread and avocado. If you do not have an Instant Pot - no problem! You will still follow the general directions above - but you will do it all on your stove top in a large stock pot. Instead of dry beans, I recommend using canned beans for the stove top version. Start by sauteing the onions, garlic, peppers and spices as described above. Once they are ready, you may add the rest of the ingredients in this recipe. When it is time to add the vegetable broth, add enough until the chili is at your desired consistency. Bring to a boil, reduce heat to low, cover and simmer for 45 minutes, stirring occasionally.